There is substantial variety in the genetic makeup of tumors that result in the initiation and progression of neuroblastoma. Mutations may be present or absent from tumor to tumor, and the combination of these myriad genes is also extremely variable. Even more complex is the evolving nature of this genetic heterogeneity during therapy and at time of relapse. 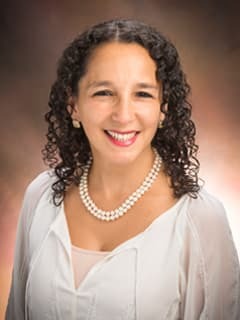 Rather than using the same empiric therapy to treat children with a diagnosis of neuroblastoma, researchers at the Center for Childhood Cancer Research (CCCR), led by Yael P. Mossé, MD, and John M. Maris, MD, have designed an umbrella trial to assign children with refractory or relapsed neuroblastoma to more precise targeted inhibitor therapy based upon the individual genetic profiles of their tumors at time of disease recurrence. During the Next Generation Personalized Neuroblastoma Therapy (NEPENTHE) trial, physicians will necessitate biopsy of a site of disease at the time of relapse. Tumor cells will then be subjected to sequencing of a large panel of genes implicated in cancer. Based on the genetic profile of the tumor, children will be assigned to one of three treatment groups, each of which is aimed to target key pathways involved in neuroblastoma growth. Scientists at the CCCR are working rigorously to identify synergistic combinations of drugs, as well as to identify biomarkers predictive of sensitivity and resistance to treatment. Subsequent tests are planned for research that can be used to follow circulating tumor DNA in the blood of patients to determine if genetic lesions can be detected, providing an opportunity to potentially monitor for response and early recurrence. Researchers are hopeful that the results from this trial will change the paradigm of clinical trial design and allow for grouping of patients by shared molecular etiology. Rather than eligibility simply being subjective “neuroblastoma,” protocol-driven trials will be developed that more closely match the genetic profile of neuroblastoma each child has to rational and targeted drug combinations. As the trial evolves, other therapeutic interventions may be added, thereby strengthening specificity of patient assignment to different treatment groups, and hopefully identifying the best therapeutic options for children with relapsed or refractory neuroblastoma. The overarching goal of this translational research program is to move these treatments upfront to prevent relapse. Collaborators and supporters from outside of the Center for Childhood Cancer research include Novartis Pharmaceuticals, Foundation Medicine, Alex’s Lemonade Stand Foundation, Band of Parents/Arms Wide Open, and The Open Hands Overflowing Hearts Foundation.